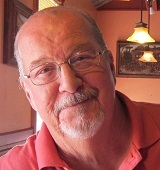 Ralph Parker received a Bachelor of Fine Arts degree from the University of Houston in 1972, and worked for many years as a draftsman in the oil industry, a freelance architectural illustrator for architects, developers and graphics firms, and produced technical illustrations and marketing materials in the automotive armor industry. He and is wife Nell also operated an art gallery for a short time in Ruidoso, New Mexico. For most of his adult life, his art consisted of detailed, highly rendered drawings in pen and ink, graphite pencil and colored pencil. His small book, Becoming a Painter in Only 45 Years, chronicles the ups and downs of a lifetime of working at mostly non-art jobs, while pursuing artistic endeavors late into the night and during weekends. It contains over 40 images of drawings and illustrations done during those years. It can be previewed here. In 2007, Parker shifted his focus from drawing and turned to brushes and paint. He spent the next few years teaching himself to paint in gouache, which at the time was not considered a fine art medium. In February 2009, he retired from regular employment to paint the landscape fulltime. In early 2015, in addition to gouache, he began drawing and sketching again, producing whimsical storybook art with pen & ink and watercolor. His first illustrated children’s book, Sherwin, A Snail’s Tale was published in 2018. In 2016, he began exploring the possibilities of plein air/urban sketching, and in 2017 at age 73, he began painting the landscape in acrylics. He and his wife, Nell, participated in art markets and festivals from Texas to Ohio. His paintings are represented by The Mason Gallery in Mason, Texas. Thanks Susanne… and thanks for subscribing to the blog! I painted Homage to a willow. What a pleasure to hear from you. I’m going to email you. You are doing a very fine work, i enjoy watching your paintings, Thank you! Hi John! How nice to hear from you. I’m glad you’re enjoying the painting.